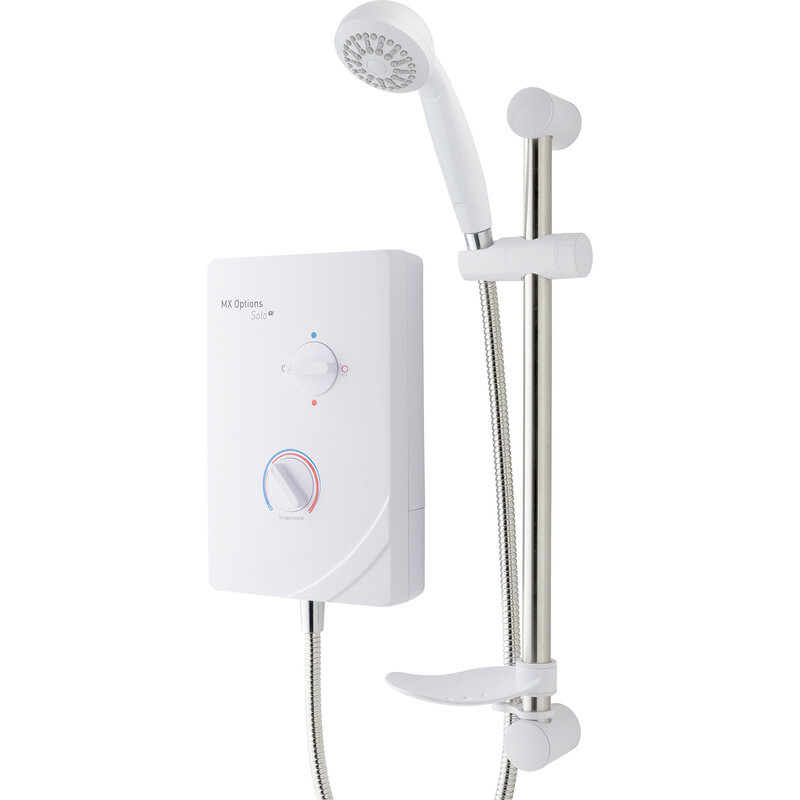 MX Options Solo QI Electric Shower 8.5kW is rated 4.7 out of 5 by 9. Rated 4 out of 5 by Muirish from Good "Option" Great for replacing older unavailable replacements. Straight forward to fit. Only just fitted so performance to be assessed. Rated 5 out of 5 by Judged from Simple to install Bought this as a replacement for our local cricket club. It is easy to install and simple to use. Rated 5 out of 5 by MikeD from Perfct replacement for Neptune Solo I was looking for a direct replacement for a now-obsolete Neptune Solo. As well as having power and water connections in identical locations, and a case that's just a bit bigger (which covers the marks left by the Solo) it has many more feed points. This will become my replacement of choice in all our rental properties. Rated 5 out of 5 by sajs from great easy to with wiring terminals both sides very good shower, easy to fit as lots of access points and wiring terminals on both sides for ease of installation. Rated 4 out of 5 by Andymc5 from Cheap and cheerful Use these showers in all my flats, cheaper to replace non working shower than repair it. Always keep one in stock so if one fails its replaced the next day. That keeps my tenants happy. No its not a power shower but as long as the water preasure is OK it does fine. Tenants are always pleased with the quick service. As long as the tenants look after them they last quite well.